Comedy Wildlife Photographer of the Year Awards Reveal Hilarious Winning Images. And the world’s funniest animal photograph of the year goes to a squirrel who thinks he’s Tommy Cooper, writes The Express. 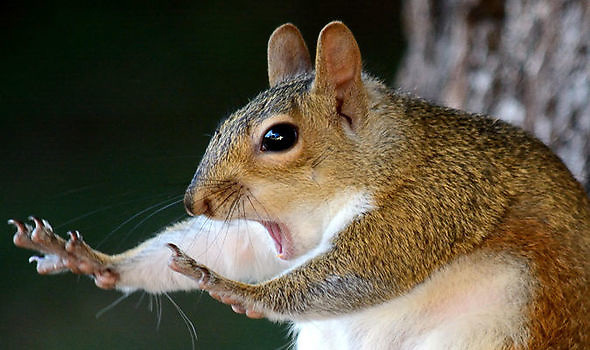 The world’s funniest animal photograph of the year has been judged to be what appears to be a cheeky squirrel pictured performing what has been described as a Tommy Cooper impression. The famous catchphrase “just like that” of one of Britain’s favourite funnymen, Tommy Cooper, is accompanied by the classic pose of both hands raised in the air, an image which has drew comparisons to the photograph by Mary McGowan who captured a grey squirrel whilst looking nonplussed but imitating the comedian. This year’s competition was to find the most hilarious wildlife images with entries by photographers from 86 countries, totalling a number of more than 3.5k images, so it’s no small feat that the Florida-based photographer’s portrait was selected as the winner from all the other pictures. Entitled “Caught in the Act”, Ms. McGowan’s winning entry of a North American grey squirrel captured the creature as if it was performing a madcap magic trick. The winning shot only came about because the squirrel was having a few problems eating and Ms McGowan was at the ready with her camera at that very moment. As a prize for her winning shot the photographer has won a safari to Kenya where no doubt she will catch many other creatures in the act. Even a polar bear who could fool you into thinking it had aspirations itself to enter this year’s Comedy Wildlife Photography Awards was caught in a comical scene which put a smile on judges faces as they looked through the other photographs. 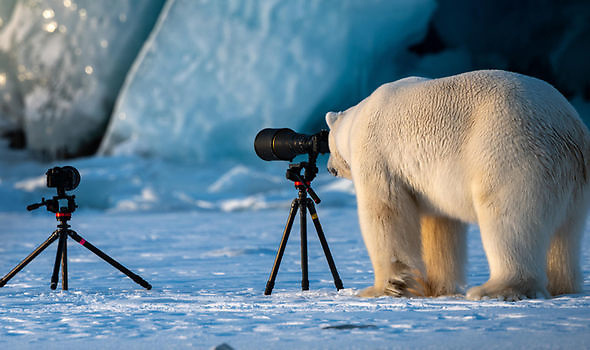 A snowy-white polar bear was caught looking through a camera, with its powerful telephoto lens and fitted viewfinder, as if about to frame a shot itself, in the High Arctic, as the equipment was set up there. This image was taken by Roie Galitz from Israel who was highly commended for the rear view shot. 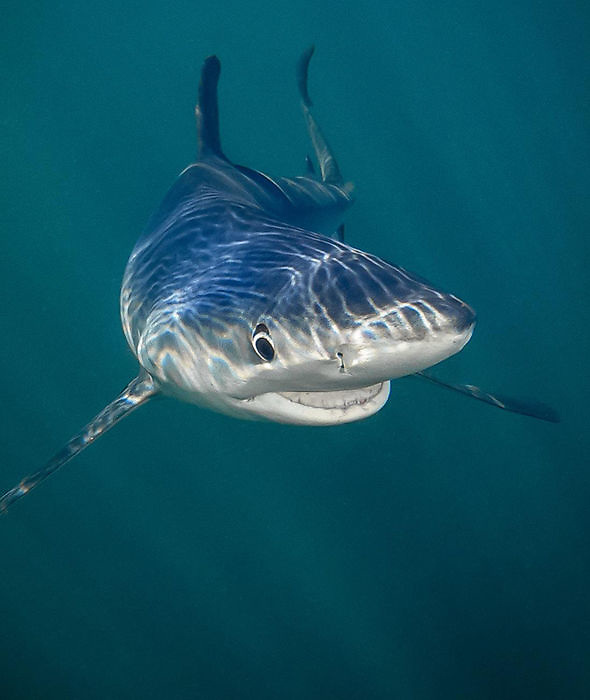 Winner of the Under the Sea category went to Tanya Houppermans from Virginia in The US, who framed a blue shark that appeared to be “smiling” into the camera, adding further merriment to the competition as she captured the creature who seemed to be in on the fun. Kallol Mukherjee from Singur India captured an image that appears as a half-bird-half-rhinoceros hybrid, a picture which made the judges shortlist and was arguable the strangest looking picture of the competition. 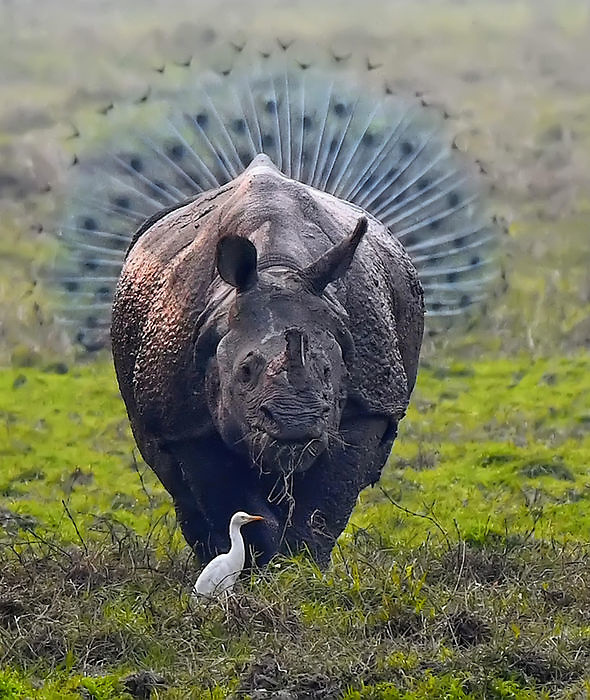 The image was taken in West Bengal’s Gorumara National Park and captures a one-horned rhino standing in front of a male peacock who is fanning it’s huge tail behind, a perfect moment of photographic timing notable upon closer inspection. While simultaneously injecting humour into the world of wildlife photography the aim of the competition is to put a spotlight on conservation efforts according to Tom Sullam and Paul Joynson-Hicks MBE, the two Tanzania-based photographers who founded the awards. Sullam explained: “Conservation was always at the heart of the competition, along with the fact that people seemed to enjoy images of animals doing entertaining things. “Essentially living in a country that has some of the best wildlife in the world, Tanzania, and seeing how destructive human actions can be to this wildlife, made us want to do our little bit to help. Among this year’s judges were comedian Hugh Dennis and television presenter Kate Humble. Words by Elijah (Content Marketer). This entry was posted in Entertainment, General interest, Other photographers, Photography. Bookmark the permalink.